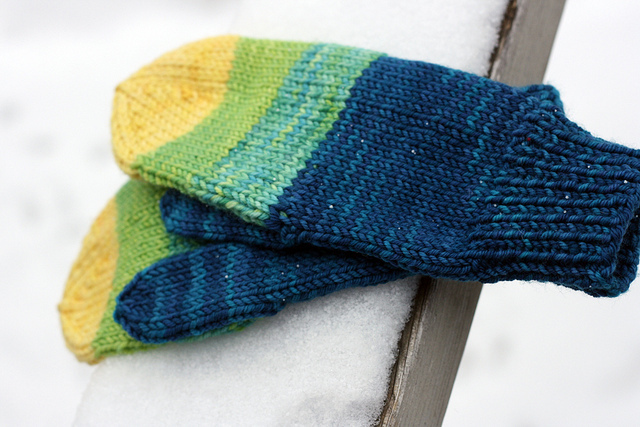 Pattern: Grammy’s Hat & Mitts - originally published in December of 2010. Ravelry pattern page here and original blog post here. One of the defining memories I have of my grandmother is of her knitting. If I were to describe her to you, I would say that she had thick glasses, she didn’t like carrots (a fact that as kids we always associated with her poor vision) that she made the best biscuits and chicken soup and that she was a knitter. She knit all sorts of things, socks and sweaters included, but what I remember her knitting the most is hats and mitts. And not just any hat and mitts, these specific hats and mitts. Though I’m sure she veered from these patterns sometimes, I can’t prove it. So, when I embarked on my fledgling career as a knitwear designer I knew that I had to honour Grammy by writing up her patterns. Though I sometimes stray from these patterns and knit different styles of hats and mitts (gasp!) Chris does not. He has knit quite a few hats in his knitting career and they are all this pattern! Sometimes he’ll switch up the ribbing repeat, but that’s as far as it goes. I love it. Grammy would be proud!